Hello, friends! I'm so glad to be back, alive and well. Thanks to a ton of rest and some antibiotics (and your sweet well wishes! ), I'm pretty sure that most of the bronchitis is out of my system and I'm on the road to recovery. It's been awhile since I've shared any of my e-designs here on the ol' blog. 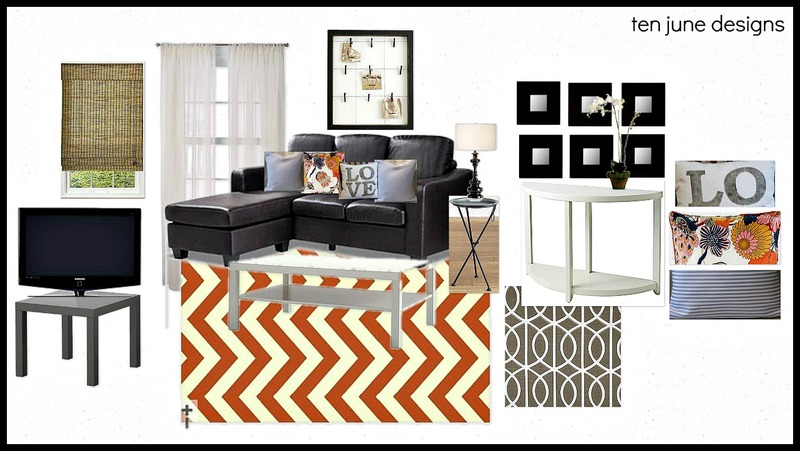 And since I was really excited about a design I recently worked on for an apartment living room, I figured it was time to share! Brandi contacted me for some help designing her new living room. The only piece of furniture she owned was the leather sofa with the chaise lounge attached that you see in the design. The rest, which needed to completed under a certain dollar amount, was up to me. 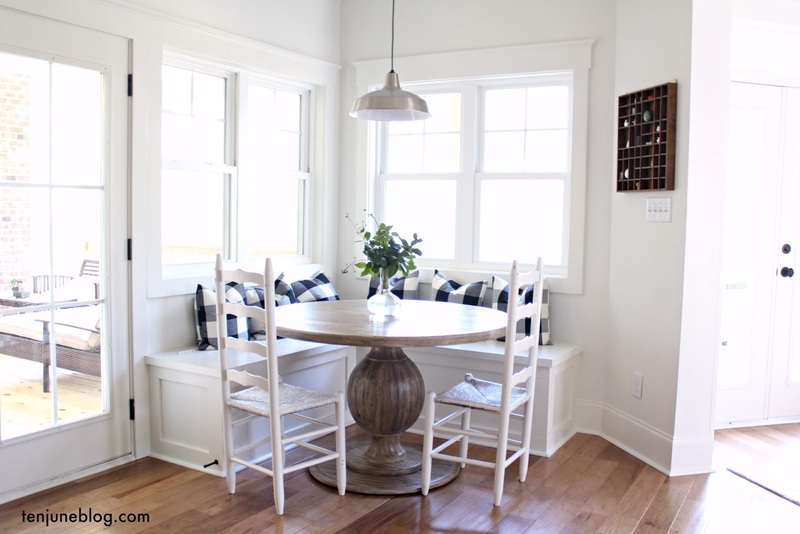 Hellooo... a blank slate to work with on a budget? Totally up my alley! By the way, you can click on the board for a larger shot. I think this design is perfect for Brandi... fresh, young and fun! I added a few great DIY projects to keep the budget down, like this fabulous DIY chevron rug project from Little Green Notebook. I also added some great Ikea furniture, like the high gloss gray side table Brandi plans to use as a TV stand. All in all, I think Brandi loves the design and will be happy implementing it in her new apartment! If you're interested in an e-design for any room in your home, shoot me an email at tenjuneblog@gmail.com or check out my e-design page here! Glad to hear you're feeling better! The design is so great- the rug will be fab. Glad you are feeling better!! Love the design board. Elie is in the midst of unpacking and decorating her new apartment...quite a challenge!! I love the eDesign. I was wondering if you there were DIY instructions for the frame with the clips?